Sage released their first and second quarter price promotions for Sage 100 ERP, Sage ERP X3, Sage 300 ERP, Sage 500 ERP and Sage CRM. ERP MAS 90 and 200, but not ready for Sage ERP X3. 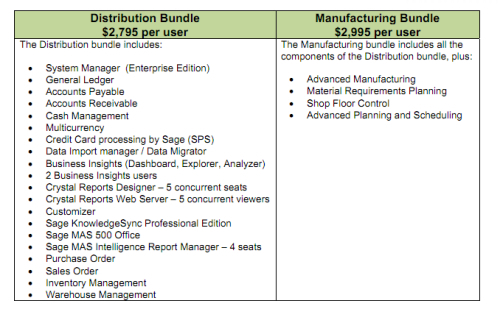 Feedback from Business Partners indicated that Sage ERP MAS 500 delivers the robust functionality required by mid-market distribution and manufacturing customers, but the current module based pricing is sometimes prohibitive in the 5-25 user range. 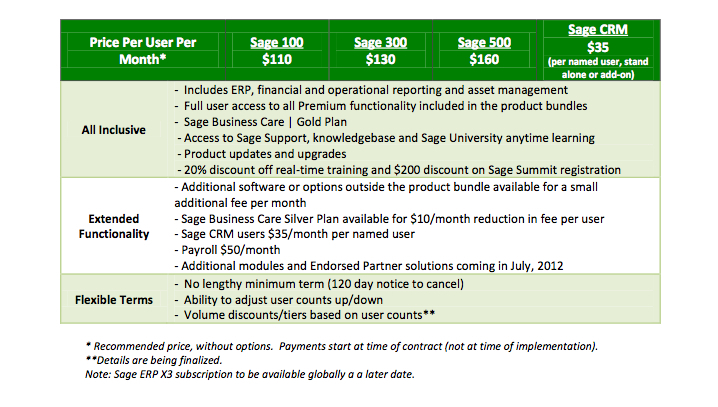 As a result, Sage is pleased to announce the availability of new user based pricing bundles for Sage ERP MAS 500!